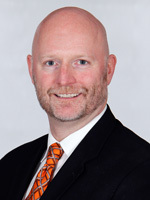 Mike joined Kal Tire as CFO in 2015 and works to integrate the changing needs of the business with the financial, accounting, treasury, risk management and taxation functions. Prior to joining Kal Tire, Mike worked with SilverBirch Hotels, The Forzani Group and Nike Canada. Mike received his Bachelor of Commerce degree from the University of Alberta and is a Chartered Professional Accountant.